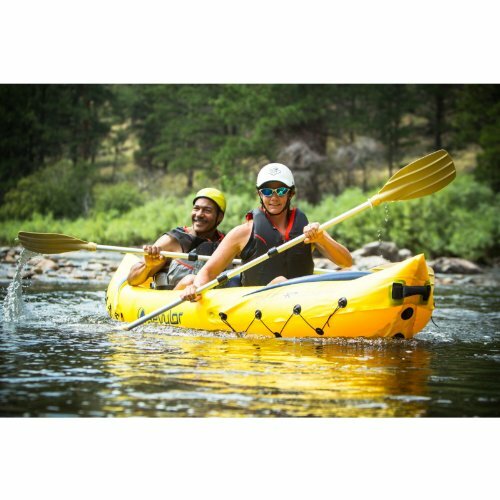 The Tahiti Classic Inflatable Kayak is durable, reliable, comfortable and portable. Measuring 9 Feet7 Inch long by 2 Feet2 Inch wide, the Tahiti holds two people (up to 400 pounds total) in built-in inflatable seats. 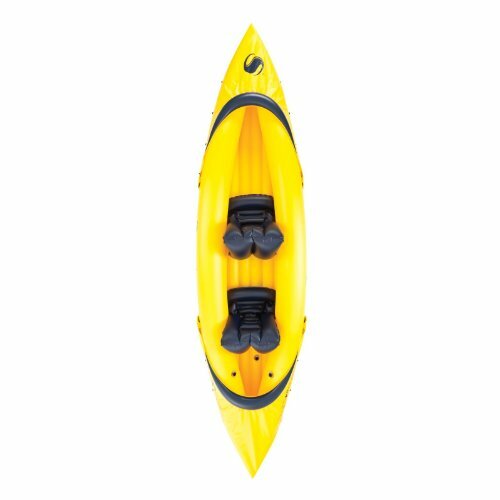 The Kayak is durably constructed of heavy-duty 26-gauge PVC, with two air chambers for security and a tubular I-beam floor for stability. It includes two spray covers for protection and has an optional directional skeg for maximum control. 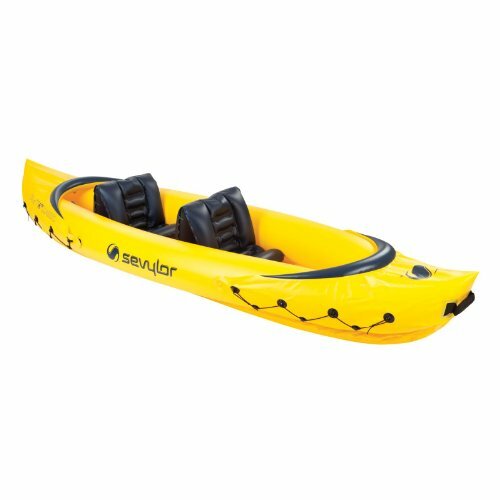 Guaranteed not to leak, thanks to Sevylor feet exclusive Airtight System, the kayak feet Double-Lock Valves prevent accidental air loss and ensure quick, easy inflation and deflation. NMMA certified. Inflated dimensions: 10 ft. 4 in. x 2 ft. 9 in.